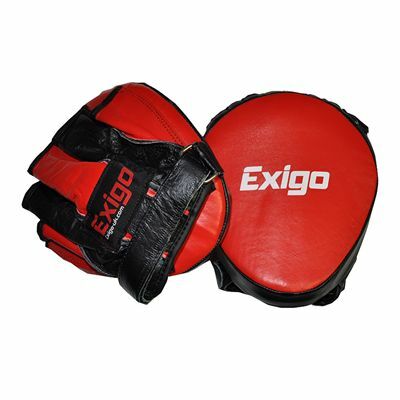 The Exigo Boxing Micro Cuban training pads are made from high-quality cow hide leather, making them strong and durable so you can train in confidence. The pads offer 5cm (2in) thick shock-absorbent padding to protect your hands and wrists and there is a Velcro wrist strap to secure them in place easily. So you can achieve an anatomically correct hand position the pads have a curved design and a grip ball. for submitting product information about Exigo Boxing Micro Cuban Training Pads We aim to answer all questions within 2-3 days. for submitting product information about Exigo Boxing Micro Cuban Training Pads. We aim to answer all questions within 2-3 days. If you provided your name and email address, we will email you as soon as the answer is published. for submitting product review about Exigo Boxing Micro Cuban Training Pads.